It may seem bittersweet, but the 2 teams that lost in the 2018 World Cup semifinals always get to play another match for third place the day before the Final. This time around, Belgium and England will square off for the consolation prize. It’s unclear whether each team will field their best teams, but we would imagine so. Belgium almost won against France. After France went up 1-0 thanks to a Samuel Umtiti they reverted to a more defensive playstyle and did their best to keep the ball. Belgium had some chances, but France maintained possession and wasted some time towards the end to win out the game. Heading into this tournament, Belgium had an incredibly strong team. Eden Hazard, Kevin De Bruyne, Romelu Lukaku and Dries Mertens rounded out a squad full of talented players. They quickly revealed how lethal they were winning all 4 of their group stage matches. They also defeated Brazil and came back from 0-2 down to beat Japan. Belgium looked to be on their way to the Final, but France ended up punching their ticket. Now, they get a chance at redemption over England. Belgium will likely play some of their B-team to get them some experience, but their B-team already beat England in the last game of the Group Stage. Hazard, De Bruyne, and other starters will be in the lineup. We expect them to run England over and then some. Belgium’s backline is stacked with talent. Best of all, their 2 centerbacks play on the same club team as England’s striker, meaning they know how he likes to play. Belgium’s goalie Thiabut Cortois is also a tough opponent and will be hard to beat. For England, it will be difficult to bounce back after having their hopes crushed by Croatia. England looks to have lost their defender and #1 set piece taker in Kieran Trippier. They may also choose to start some of their substitute players, but the majority of starters should be present for the final game. England’s success is through set pieces. If they can draw Belgium into fouling them they can force a possible set piece opportunity and score. Harry Kane will be the go-to scoring option. Jamie Vardy will likely make an appearance. Raheem Sterling, Jesse Lingard, and Marcus Rashford make solid midfield options that bring a lot of pace. The thing is, Belgium already beat Brazil, a team full of pace and flair. England may find themselves hard-pressed to get around Belgium’s midfield and defense. 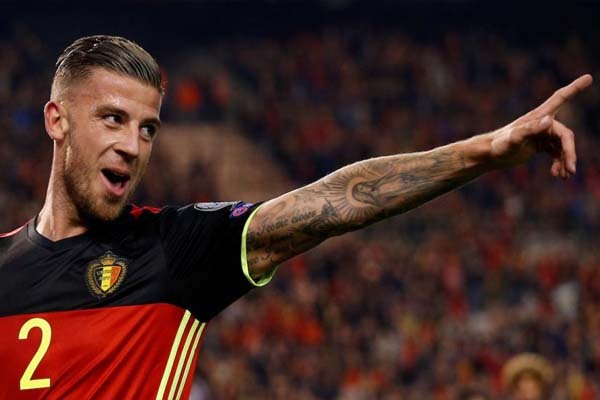 The 2018 FIFA World Cup betting odds have Belgium as the favorite at a 1.5 point spread. With nothing left to fight for, it’s unclear how hard both teams will go. Now it is more a matter of pride than anything else. Belgium is the more deserving team to win. It will be a small reward compared to what they achieved in this tournament, but something nonetheless. England should also push for victory so they can say they walked away from this tournament with something.